There are many ways to earn money with Bitcoin. 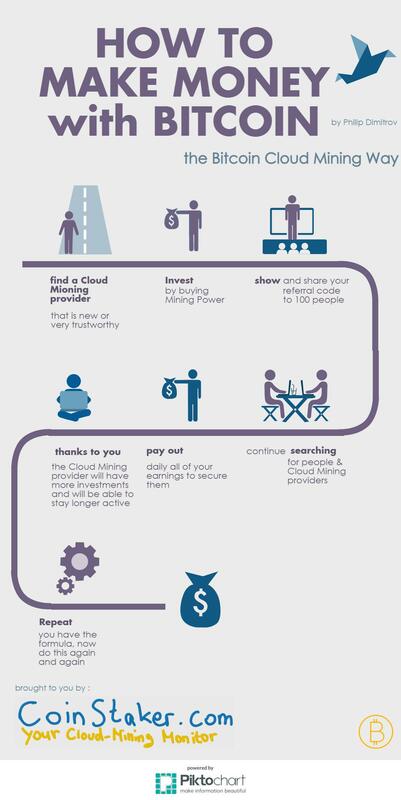 In this Infographic you can learn how to do so with cloud mining. Bitcoin Cloud Mining is a way to produce (mine) Bitcoins without the need of any special hardware. Learn more in the following infographic.